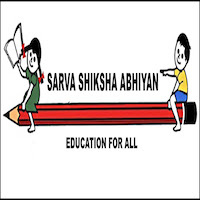 Online Application Details for Sarva Shiksha Abhiyan SSA Recruitment of 307 Graduate Teacher and 455 Upper Primary Teacher is given below. Application form and duly attested documents are to be sent to N. Praveen Singh, Director of Education, Lamphetlpat, Imphal, Manipur. In envelope super scribed with 'Application for the Post of Post Name'.